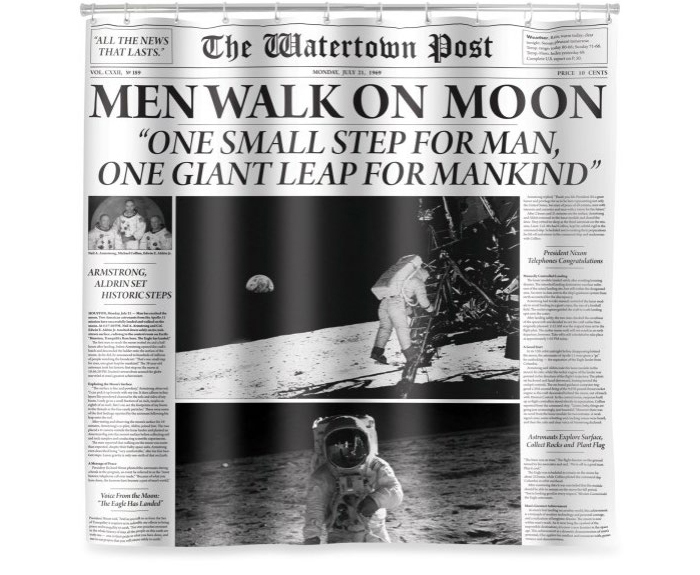 These shower curtains are remakes of classic newspaper fronts. 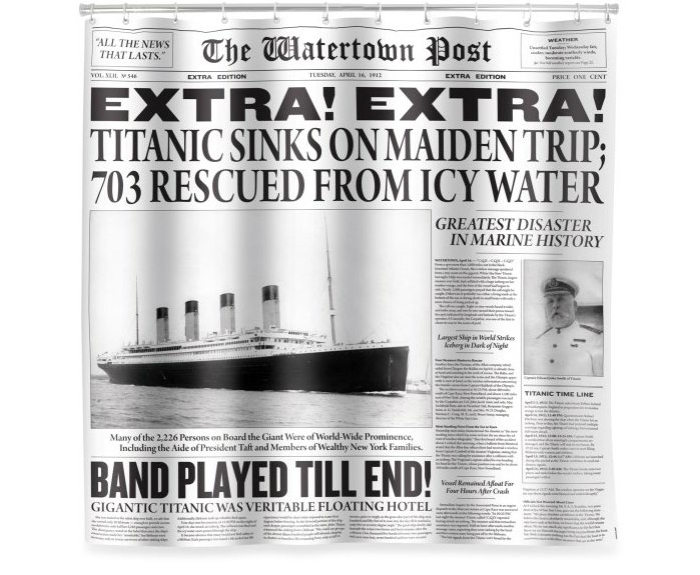 Breaking News back in the day, still a worthwhile read in the bathroom. Designed for Kikkerland, commissioned by FormNation.